When Casey Leonard drives his initial horse at the upcoming Hawthorne meeting it will be the 39-year-old Illinois native’s first time in the bike in a pari-mutuel race this year. In fact, Casey hasn’t driven since closing night last September 25th, seven long months ago. And while he is “looking forward to the start of Hawthorne,” driving horses is now a “hobby” for the Chicago circuit’s leading pilot after seven-plus years of making a living, and often a very good one, as an Illinois harness racing horseman. “With the steady decline of racing dates in Illinois and the uncertainly of harness racing in our state I decided to look for another job to support my family,” said Casey. I‘ve been fortunate to find one, at a very good company, and I’ll still be able to drive horses at Hawthorne only this time as a hobby, not as my livelihood. I drove at Hawthorne on its last Sunday of racing. I interviewed for the job on Tuesday and I started at the DeLong Company on Thursday, I think the date was October 5th. (Still headquartered in Clinton, Wisconsin, the more than 100-year-old DeLong Company currently operates 24 facilities and offices in Wisconsin, Illinois, Florida, Kansas, Nebraska, New Jersey, New York and Ohio. The DeLong Co. is the No.1 U.S. exporter of containerized agricultural distributions. It is comprised of five divisions of agricultural sales and service: agronomy, grain, seed, wholesale distribution and transportation. The DeLong Co., Inc. remains a family owned and managed organization. Its current board of directors is 4th generation and its shareholders are 4th, 5th and 6th generation direct descendants of its founder William E. DeLong). Casey stated, “It didn’t look like anything was going to happen (legislation-wise) in Illinois and if it did, it still would be a couple of years before it impacted the horse racing industry. It’s a real good opportunity for me working for a well-respected company. They tell me it’ll take a couple of years before I get my feet under me and really understand the business and I would agree with that. There’s a lot to learn. I’m trying to become a Grain Merchandiser at the company. Casey didn’t become a full-time Chicago circuit driver until September of 2009 when he was 32-years-old. Nevertheless, he quickly rose to become one of Illinois’ best. He had only 32 winning drives from 1996 through 2009 but an impressive total of 2,001 since. His best year was in 2013, when he posted career highs of 407 dash winners, while horses he drove won over $2.8 million. On the other hand, Casey has gone from 2,517 drives in 2013 to only 1,119 in 2016, despite having a career best UDRS of .365 last year. His money won total tumbled by $1.4 million since 2013 with the huge drop in Illinois racing dates and without a 2017 Hawthorne winter meet, it’ll take another nosedive this year. Casey said, “I talked to someone from Hawthorne the other day who was bragging about how good their purse structure is for this year. I’m from the Dave McCaffrey school of thought: Damn it, they should be good when you’re racing only five months instead of nine.” Casey certainly has a valid point, doesn’t he? Qualifying Update: Qualifier races slated for today (Friday) at Springfield were canceled because of wet conditions and have been rescheduled for Wednesday, May 3rd. Hawthorne will host pre-meeting qualifiers on Friday, May 5th, and again on Monday, May 8th beginning at 10:00 am both days. Entries for the May 5th qualifiers will be taken on Thursday, May 4th. Entries for the Monday, May 8th qualifiers are taken on Sunday, May 7th. During the racing season, qualifiers will take place prior to the regular racing program on Thursday evenings. Qualifier horses will paddock in Barn 1 on the Hawthorne backstretch. While the IHHA and Hawthorne Racecourse have had a contract for the 2017 race meet signed from the beginning of this year, both groups have been working on finding a comfort level for how the 2018 harness season may look. After many meaningful discussions, we are pleased to report that we have reached an agreement with Hawthorne for 2018. The contract is basically an extension of the 2017 one but includes considerations for maximizing racing dates (opportunities) while still addressing adequate purse levels. However, the IHHA reminds everyone that the Illinois Racing Board is still the ultimate authority for approving racing dates. Yet, Hawthorne’s pledge to harness racing beyond 2017, through this contract, shows that they are committed to harness racing into the future. We are looking forward to the start of our summer meet, which is right around the corner, opening night is Thursday, May 11. See you then. SB 7, our gaming bill, continues to sit stagnant in the General Assembly. While efforts from all entities of the horse racing industry continue to talk, lobby, cajole and harass our legislators into some movement, recently there has been none. Certainly no movement for us and little or no movement on anything else pertinent to our state and its current budget crisis. This has not been unexpected. History has taught us that something of this magnitude would eventually be decided only within the last few days of the session, currently scheduled for adjournment on May 31. History has also proven that this adjournment day could be extended further into the summer. All shareholders of our industry continue to meet regularly with each other to discuss the most current rumors and innuendo and explore all angles and all of the moving parts involved. Unfortunately, as we have said for quite some time, not only horsemen but all citizens of Illinois are still at the mercy of decisions that need to come down from leadership. We will try and update everyone as soon as we hear anything newsworthy. Thanks for paying attention and thanks to all for your continued support as we try and survive the most difficult circumstances in our existence. Stay tuned. The list of nominated horses for Hawthorne’s upcoming Late Closer Series has been tabulated by its’ race office. A number of new faces will be on hand to engage a multitude of ICF pacers and trotters, making for some upcoming intriguing events. Late Closer No. 1, the Walter Paisley for filly and mare pacers that were non-winners of $30,000 (ICF $45,000) lifetime through March 31, 2017, lured 16 horses including such 4-year-old invaders as Alabamashakey, Delightfully Wild and Rockinaroundheaven. Alabamashakey won her first six starts at Pompano Park for Illinois trainer Rob Rittof and has almost $20,000 on her season card. Delightfully Wild has posted five wins in her last ten starts at Cal Expo for conditioner Libero Pachero; while Rockinaroundheaven, trained by Jim Lackey, has proved best in two of her last four in California. Other Paisley eligible distaffers are: Boogie On Down, Burry Me Inthesand, Dakota Sleek, Fox Valley Dandy, Hope Hotspur, Hot Cakes, Jeana Rose, Lacarmeliliana, Laurel’s Lea, Leehan Pearl, Little Miss Torie, Norma Rea and Phyllis Jean. The Bob Larry (Series No. 3) for colt and gelding pacers with the same eligible conditions as the Walter Paisley, had 13 nominations headed up by the Nelson Willis trainee Hot Rod Dylan, who captured his first eight starts of the year at Miami Valley Raceway in Ohio before a fourth place finish last week at Hoosier Park to a 1:50 flat win. 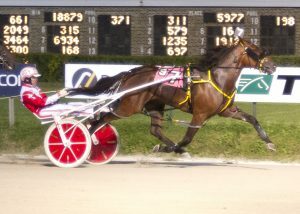 Hot Rod Dylan, a 4-year-old gelding, took a $17,500 Late Closer Final earlier this month on the Lebanon, Ohio racetrack. Other Bob Larry eligible pacers are: All In No Out, Bowedfortyova, Fourboltmane, Fox Valley Nemitz, He Gone Jack, Lets Go Dune, Red Red Redneck, Slzburgerslzeburger, Sporty Redhot, Tiny Jim, Uptown Sleaze and Wildcat Hilton. The Bea Farber Trot Series (No. 2) looks to be very competitive with its 10 nominations that include ICF Violet champ Daisy Lou Duke, from the Steve Searle stable, the Roshun Trigg trained 3-year-olds stake winners Lougazi and Lou’s Credit Report, along with Larry Price’s BC’s Da Winner, victorious in his last six outings in 2016 including the last four at Hawthorne. El Lobo Hall, Energy Bar, Hatfield And McCoy, I Could Care Less. Lou’s Game And Match and Southern Appeal are the other Bear Farber hopefuls. The Dave Magee (No. 4) drew the most Late Closer nominations with 22 sophomores on its list. It’s for Illinois bred 3-year-old fillies without $10,000 in earnings as of March 31st. The Magee candidates are BC’s Angel’s Filly, Beamer N Bud, C Far, Chitty Bang Bang, Day Of Decision, Do You Dare, Fancy Creek Jolene, Fox Valley Maya, Fox Valley Miley, Frontier Shirley, Giftfromtheheart, Island Campaign, Jewel’s Hall, Lady’s Party, Little Adaline, Miss Tennessee, My Uptown Girl, Perfectly Dune, Revin The Engine, Rose’s First, Rousey Ronda and Smiles Ahead. The Mike Paradise (No. 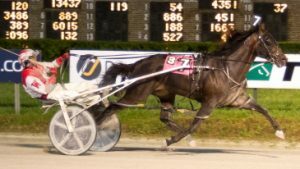 6), the male counterpart of the Dave Magee Series, has 17 eligible pacing colts or geldings: Causway, Commondiscourtesy, Et Tu Brute, Fox Valley Scampi, Frontier Fred, Ima Scrappy Scraper, Ima Skywalker, In Your Eye, Jawsome, JD Jay Dee, Kid Rocky, Sammy Sagebrush, Silver Romeo, Star Duster, Sullivan, Trail Blazer and Zone Blitz. One of the interesting names among the 19 trotters nominated for the Daryl Busse (No. 4) is the 3-year-old Swan Victoria from the Roger Welch Stable. Unraced at two, she was a hefty $115,000 yearling purchase at the 2015 Hoosier Sale. Her full brother is the Erv Miller Stable’s 4-year-old Airman Batten, (1:54.1) winner of 14 of 28 career starts with over $340,000 on his card. The other Busse aspirants are: Bands Houdini, Dandy’s ESP, Dr. Splender, Fort Defiant, Free Range Chikin, Hannah’s Lil Prayer, I Love Lindy, Lofty, Lou’s Misty Blue, Misty Lou, Muscle Image, My Favorite Kir, Photo Phred, Picky Picky Valor, Red Star Ranger, Sawyer G, Scarlet Ribbons and Totally Pizzazzed. An even dozen open company 3-year-old male pacers were submitted for the Phil Georgeff (No. 8): Always A Fiji, Getting Rowdy, Heartland Revenue, Kash In Khan, Look At Luke Smile, Pop’s Pool Room, Skyway Fireball, Star Of The Party, Talents Marvel, Tulsi and Western Sangria. The Georgeff is limited to non-winners of $10,000 lifetime (March 31st). The same conditions apply to the Peter Galassi (No. 7). With only seven 3-year-old filly pacers nominated (Dali Delight, Dry Creek Lis, Getn My Sundaze On, It’s On To Dream, Lakeside Ms Queen, Patches Girl and Rear View) the series could be in danger of being a no-go. 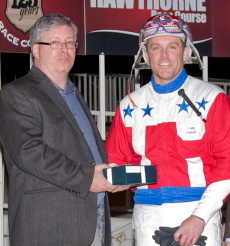 Hawthorne opens its summer harness meeting on Thursday night May 11th. The four-day-a-week format runs through Sunday, September 24th. First post nightly will be at 7:10 pm. The ICF freshman colt pacing troupe was very competitive last year with the eventual division titleholder not decided until the Cardinal Final, the final stake race of Hawthorne’s season. That victory went to the Tom Simmons Stable’s Fox Valley Herbie and it likely propelled the youngster to his 2016 Illinois 2-Year-Old Colt Pacer of the Year honors. All the freshman ICF leaders, along with some new faces, will be back for this year’s Illinois bred 3-year-old added money events including the multi-stake winner Gabe Henry. The Tom Graham Jr. home-bred trainee rattled off seven triumphs in his first season in 11 tries and earned over $55,000. He took his mark of 1:52.2 in his winning Springfield elimination. I assumed Tom was very happy with Gabe Henry’s first year of racing? “Yes and no,” he answered. “There was one start that didn’t work out very well for us and unfortunately it came in his last race and that was the Cardinal. Gabe Henry won 7 of 11 starts in his 2-year-old season for trainer Tom Graham Jr.
Gabe Henry ended up fifth, the lone time he was off the board as a freshman for owner and breeder Carol Graham of Salem, Illinois. At one time Gabe won five races in a row and a trio of them came in the first three legs of the Incredible Finale Series. Since there are no “do-over’s” in horse racing, the son of Henry Clay out of the Graham’s broodmare Startrix Gram will have to wait until Hawthorne rolls around to even the score against some of his ICF rivals. Is Gabe Paul back in training? “I’ve started to train him back and he’s coming along okay,” replied the 46-year-old resident of Salem, Illinois. “I don’t know if he’ll be ready for the first week of May but he’ll be ready very quickly once the Hawthorne meet does open (Thursday, May 11). Gabe Henry will have a sibling competing in the 2017 Incredible Finale stake series. What parent hasn’t heard those two words uttered? Time Running Out: It is “Last Call” for horsemen to make their 2-year-old eligible to Hawthorne’s two-year-old stake series races. Nominations are due tomorrow (Saturday, April 15). A nomination form can be found at wwwHawthorneracecourse.com. A Dandy Tune-Up: Fox Valley Dandy had the fastest winning mile in last Tuesday’s qualifiers at Springfield with a 1:55.2 clocking. The Sportsmaster filly, owned by Hugh Lake and Susan G Lacey of Joplin, Missouri was driven by Mike Brink and is being pointed to Hawthorne’s Plum Peachy stake series for ICF 3-year-old filly pacers. The fastest last quarter in Tuesday’s qualifiers was a very quick 26.2 final panel by the 3-year-old Illinois bred gelding Causway from the Mike Brink Stable. The son of Yankee Skyscraper is getting ready for Hawthorne’s Robert Carey stake series. Causway is owned by his breeder James Hepp of Steelville, Illinois. Veteran Illinois horseman Mike Brink is hoping to get out of his ICF horses as 3-year-olds more than they did as freshman and early on things are looking better for his state-bred sophomores. Brink has a trio of 3-year-olds trotters nominated to Hawthorne’s Erwin F. Dygert stake series and gave me a run-down on their development. “The brother to King Mufasa (Sharkbite Mike) is training really well,” said Brink. He didn’t grow up much over the winter but he’s much smarter in his head. I hope he takes after his brother a little more than he did last year.” King Mufasa (1:53.4, $288,536) was the 2013 Illinois Harness Horse of the Year for Brink, when he captured 14 of 18 starts as a 3-year-old and made almost $240,000 for owners Bill Wright (Morton, Illinois) and Mystical Marker Farms (Valparaiso, Indiana). Sharkbite Mike made only four starts as a freshman and his first didn’t come until July 31st, in the Downstate Classic at the Lincoln County Fair track. Brink continued, “The Cassis colt (Cassisandfifth), who is a half-brother to Tour Hall, is the same way. He also didn’t grow up much after we stopped with him. I expect both of them to be okay as 3-year-olds. I don’t know if they’ll be good horses because I haven’t been along with them much yet this year. I do like Muscles Image a lot. He’s a half-brother to Muscles Babe, a mare that I had. She trotted in 53 and made something like $300,000. Muscles Image was just immature as a 2-year-old and was a little hesitant at the gate. He doesn’t appear to be that way at all this year. I think he may be a good horse.” Muscles Image is much further along than his 3-year-old ICF trotting stablemates; the gelding came out ready for his initial 2017 qualifier, winning easily in 2:00.2 with Brink at his lines on March 24th at Springfield. Mike has an abundant of 2-year-olds nominated to the Hawthorne stakes series this year. “I’ve got 16 of them, about 9 of them are trotters. It’s too early to get excited about any right now but get back to me later on and we’ll talk about them.” Will do. Still Perfect: The Nelson Willis trained 4-year-old trotter Hot Rod Dylan (Mike Oosting), completed his sweep of the Omar Hiteman Memorial Trotting Series at Miami Valley Raceway Tuesday night in Ohio with a front-end 1:54 flat mile and remained unbeaten in 2017. Unraced at three, Hot Rod Dylan is now 7-for- this year. The $8,750 winner’s share of the championship purse boosted the gelding’s season earnings to $31,000 for Illinois owner Shirley Le Vin (Barrington Hills).